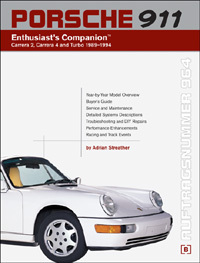 The Porsche 911 (964) Enthusiast's Companion: 1989-1994 is a comprehensive book is dedicated to the revolutionary Porsche 911s built between 1989 and 1994, known to aficionados and factory insiders as Auftragsnummer 964 (project number 964). Porsche 911 (964) Enthusiast's Companion: 1989-1994 covers Carrera 2, Carrera 4, and Turbo models from 1989 to 1994. Whether youre a 964 owner, a prospective buyer, or a Porsche workshop technician looking for 964 information, this is an invaluable addition to your technical library. This is a buyer's guide, a maintenance and repair handbook and a technical reference all wrapped into one. It is full of tech tips, service hints and system descriptions, plus lots of DIY repairs collected from all around the world. You will also find an extensive section on 964 race cars and their drivers. This is a book for the hands-on enthusiast. It provides the information necessary to maintain your 964 to factory standards, gives you the assurance to speak knowledgeably to your service professional, and can provide you with the hot setup for the track. To bring you this authoritative volume, author Adrian Streather has scoured the globe in search of enlightened information and technical procedures for the 964. Almost every conceivable question you could ask about this revolutionary 911 can be answered using this book. Worldwide coverage of 964 models (USA and ROW). 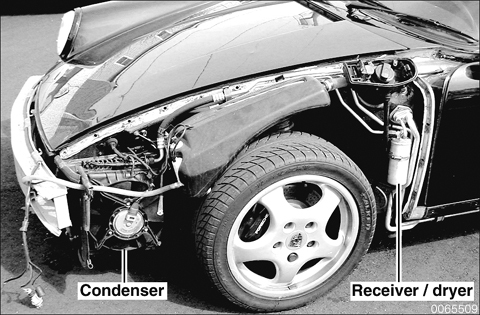 Year-by-year, model-by-model analysis of 964 technical highlights, includ­ing Turbo models. Tips on how to purchase the best car, things to look for during the test-drive, and how having a prepurchase inspection can potentially save you thousands of dollars. Porsche Dynamische Allrad Steuerung (PDAS). In-depth maintenance schedules and instructions, including maintenance notes for Turbo models. 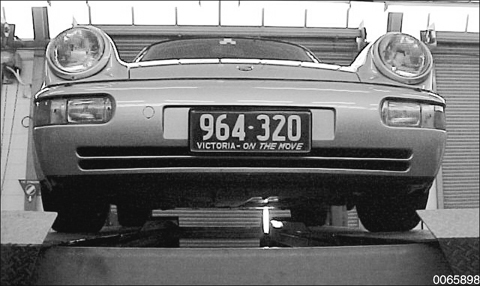 The wheel offset number is stamped next to the air valve on all genuine Porsche 964 and Porsche 993 wheels. Partially disassembled damaged 1991 Turbo. This is an excellent view of components mounted under left front wheel arch.